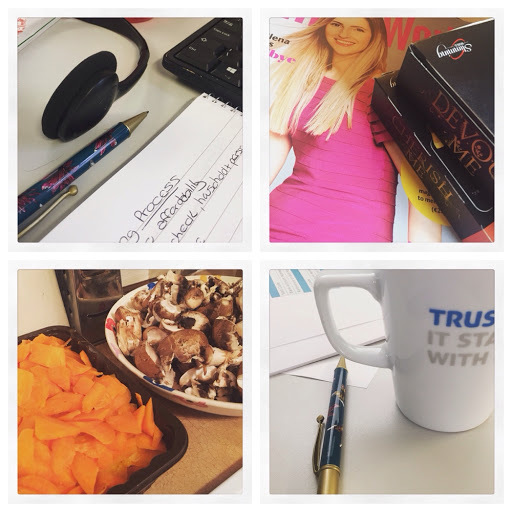 So I didn't quite make it to having a blog post a day up last week. Ian went down to Stamford for a couple of days and took the iPad so I had no access to my blog. But I'm back now to share week 12 of my 100 Days of Happiness. Last week I started my Upskill training to be able to take mortgage calls so on Monday I was glad to have survived my first day as there was a lot of information to take in. Tuesday was weigh day again and while I was bummed to have put in 1lb I cheered myself up with the latest issue of the magazine for inspiration. On Wednesday I had texted Ian before I left work asking him to prep the veg for tea so I was happy when I got in and found he'd listened to me for once! Thursday was an information overload day in training so I was happy to have someone who was organised enough to bring teabags with them! It was decided at the start of training that friday's would be fat Fridays, not exactly Slimming World friendly but very naughty and delicious! On Saturday I took myself off shopping looking for new clothes. 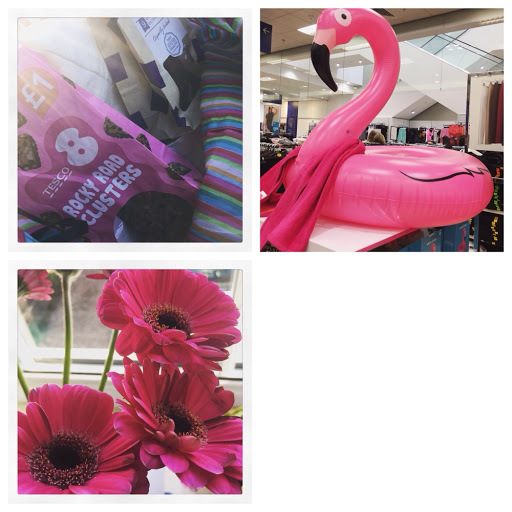 I didn't buy anything but did spy an inflatable flamingo, if only I had a pool! Finally on Sunday I decided to treat myself to some of my favourite flowers.